Yesterday saw the first day of the new course I am on and this is my homework for the first day. For this assignment I chose to try the technique demonstrated by Jennifer McGuire, which was, to shrink a fun foam sentiment. Well, it is not as simple as it sounds . . . I had so much trouble I only had time to try the one technique, there were three in total! As you can see from the pictures, even this one warped, but it wasn't as bad as the others and I didn't want to get too far behind . . . and I thought, well, it will just add a little quirkiness to the finished card. 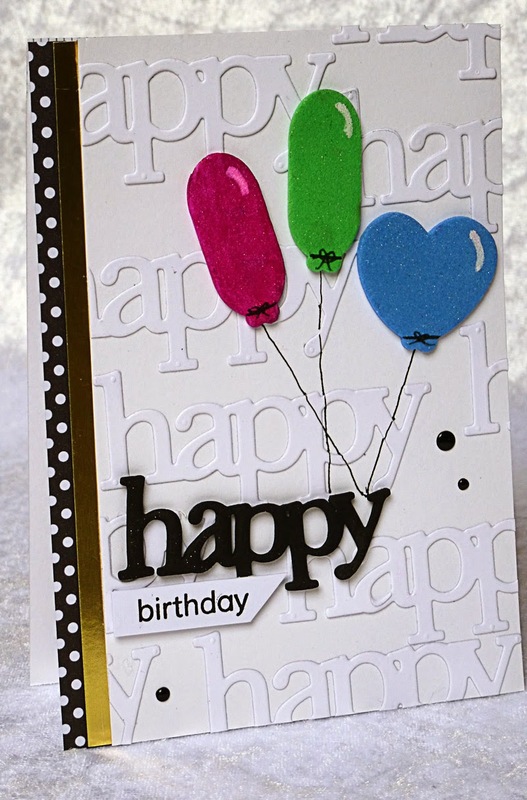 I used WPlus9's, 'Whole Lotta Happy' stamps and dies and the birthday sentiment was from a Clearly Besotted set. Well, sorry this is rushed, but I now have to go and take my 89 year old mother for a chest X-Ray, and I still haven't had time to check out today's lesson. This is a great card! 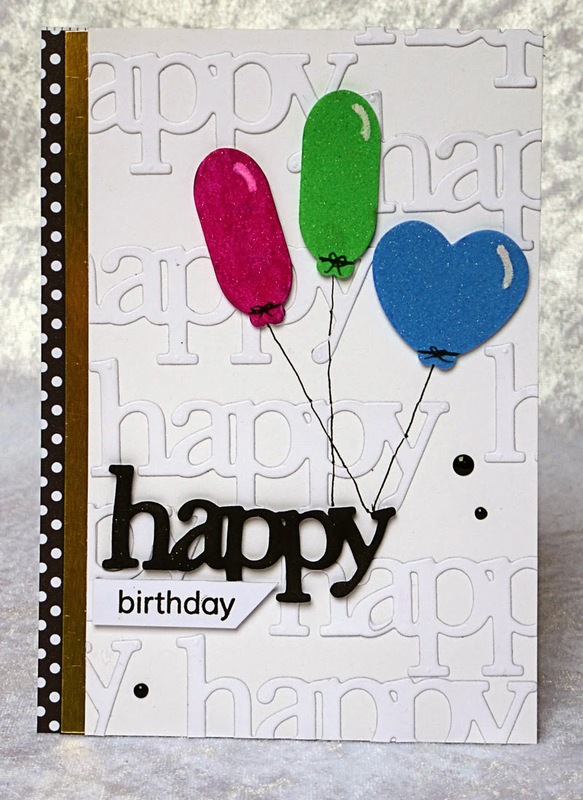 Love the background of white word die cuts, the balloons provide some fun color and the strips on the side make it look very classy! Can't wait to see your other homework! Hope your Mum is ok! Hazel, your card is wonderful, don't be too hard on yourself. The coloured ballons are brilliant. Hope all went well at the hospital. Hazel, I am so looking forward to see what you create while on this course!!! And your first card is lovely!!!! You are definitely too critical on yourself - you did a great job with the technique!!! And I love your happy balloons and the strips at the side really look great!!! 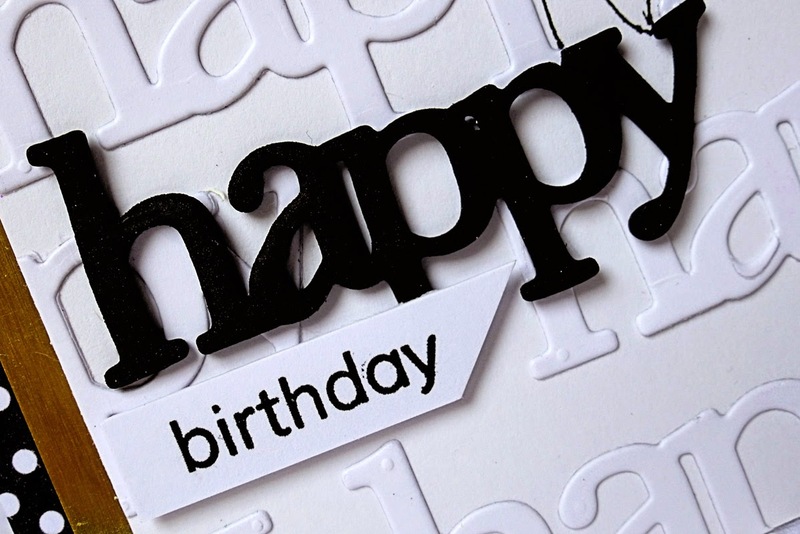 A lovely card, my friend!!!! 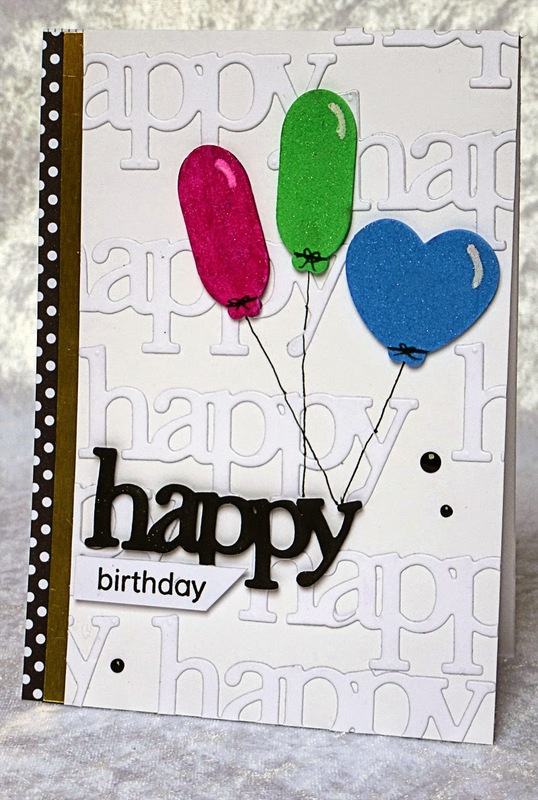 I am a sucker for balloons and your card really caught my eye! Really cute. Love and cherish your mother, you're lucky to still have her in your life. I'm sorry to hear that it was a struggle, it sounds difficult to me! Your card came out fabulous anyway! I hope your mom's okay.